when he travelled on the main line to Mandalay in 1905. Photo by R.W. Marshall, Maymyo. His many friends in Burma and India will be sorry to learn of the death, at the age of 71, of Mr Willix, retired Locomotive Foreman of the Burma Railways, who passed away at Maymyo at 3 a.m. on the 20th April 1937. Last February he was medically advised to take complete rest but symptoms of cardiac trouble set in from which he expired. His remains were interred in the Old Christian Cemetery the same evening. Rev'd. A.N.O. Lee, Army Chaplain of Maymyo, conducting a very impressive service at the graveside. The funeral cortege - a very long one - was formed of his relatives, a large number of the civil population and all branches of the Railway Services comprising all classes and communities. He leaves a widow, a son, a daughter and an aged sister to mourn his irreparable loss. The late E.S. Willix came to Burma 44 years ago when this Railway was in its infancy and was entertained on the Main Line Running Staff as a Driver, having come here with much experience from the Southern Mahratta Railway, from 12th March 1892 to 24th June 1926, when he retired and settled down in Maymyo. During his tenure of service he not only won the esteem and regard of his colleagues but also of all his Superior Officers, for it has been placed on record by his Locomotive Superintendent that "Mr Willix is the most experienced Driver on the line, or at least the man whose opinion I would accept most willingly." He was selected as one of the two drivers to work the Royal Train in which His Majesty the late King George V travelled when he visited Burma in 1905 as Prince of Wales. A press notice of the time stated, "Driver E. Willix - one of the most experienced Drivers and a thorough good engine man - has been especially selected by the Locomotive Superintendent to work the Royal Train..." On arrival at Mandalay, Mr Willix was presented with the flags and the plume that decorated his engine as a souvenir of the Royal visit. In 1893 Mr Willix was in receipt of a very complimentary letter from the Locomotive Superintendent on his praiseworthy action in averting a very serious accident to his Passenger train. In many cases of Railway inquiries the considered opinion of Mr Wilix was always accepted as that of an expert's. After being on the footplate for 17 years, Mr Willix was selected to fill the post of Locomotive Foreman and was appointed to the very large and important station of Yamethin. 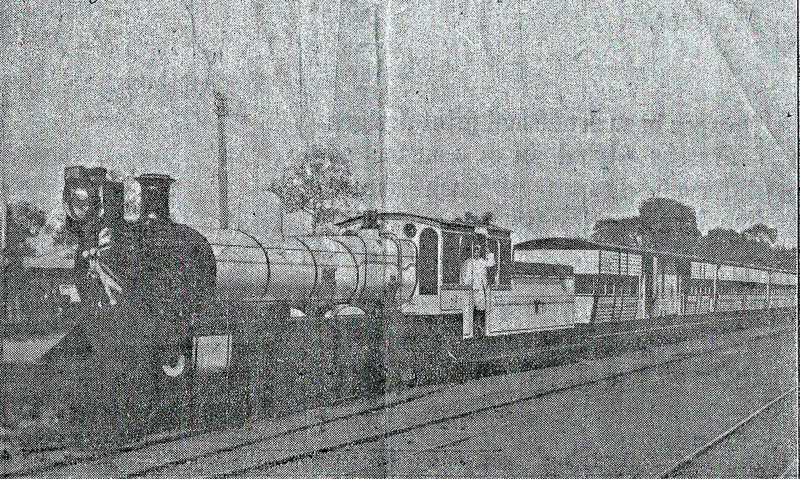 After a further service of 17 years in that capacity he eventually retired in 1926. He was the recipient of the Delhi Durbar Medal. It was during his tenure as Loco Foreman at Yamethin that as a mark of appreciation of his long and loyal services his old engine J257 which he ran for several years, was sent to his shed under the orders of the Locomotive Superintendent with his name "E.S. Willix" in brass letters fitted over the splasher. This was an honour accorded only to Officials of the Superior Grade - never in the Subordinate of the Running Staff. In June 1921 he was specially thanked by his Department Officials for his good services during the strike of the Indian Running Staff, during which he succeeded in maintaining a curtailed but efficient train service. On his retirement in 1926 his colleagues and staff at Yamethin expressed their gratitude for his many kindnesses and sympathetic treatment and presented him with a solid gold Hunter watch engraved with his monogram, a gift which he highly prized and treasured. Thus has passed away a great and noble soul to his eternal rest.